JST SH Jumper 6 Wire - 1.75"
In stock 135 items in stock. 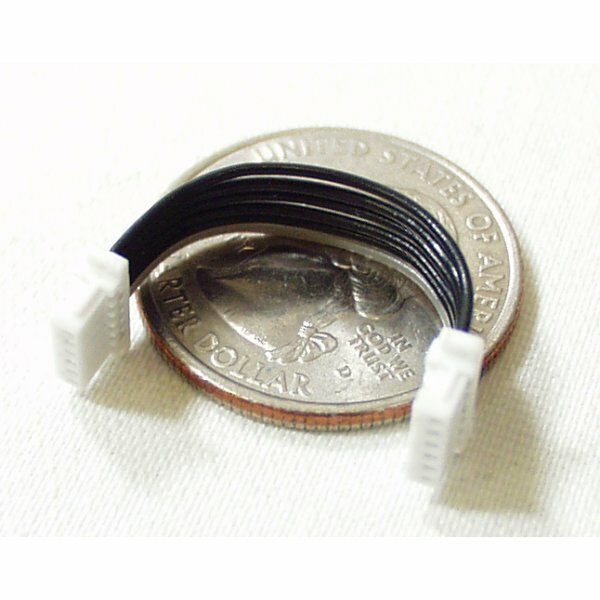 This is a 1.75" long JST SH communication cable which can be cut and hacked to your needs and can even be used as pigtails. This little guy can really help your GPS project if you don't have a lot of space to spare! This cable has two a 6-pin JST connectors with 1mm pitch. Wired pin 1 to pin 1. Any way I can find one of these for the 4 wire connectors like the ones used on your fingerprint scanners? The cable/pin 6 is distinguished by its grey color in this product, and it can lead to a pin-number misunderstanding with other JST SH Jumper 6 wires whose pin 1 cables are grey. I guess the line going to GPS pin 1 is distinguished in this product. Please consider giving notes. These are like 30ga stranded wire that's really hard to solder to headers to use on a breadboard. It's better than cutting up the one that comes with the module though, in case you screw up.